Keto Rolls!! 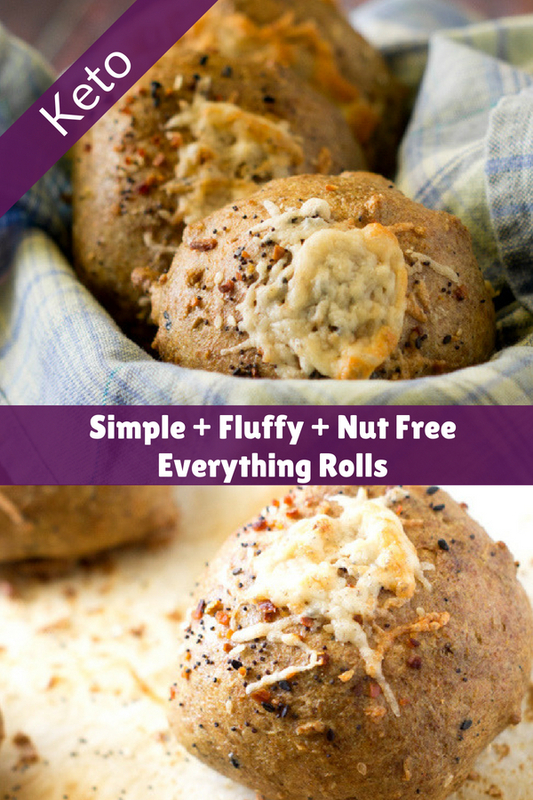 Get ready because these keto rolls are light, fluffy, tasty and nut free! I got tired of baking with almond flour as my husband is allergic to tree nuts, and I know a lot of you all are too. So I’m ditching it in favor of my new favorite thing to bake with. Sunflower seed flour! Or Meal as a lot of packages label it. It’s not that popular yet, but I got it on Amazon – this is the exact one I got. It’s working great in my tests and it even lower carb than almond flour! It is fairly light and leaves your baked goods as they should be and not heavy. It was perfect for these “everything” keto rolls! For this recipe in addition to sunflower seed flour you need ground psyllium husks. I was not able to find a product labeled ground psyllium husk at my local stores. Instead I bought the whole psyllium husk and blended some quickly in my Blendtec blender. I blended it for about 20 seconds. It wasn’t yet a powder and it was a little finer than when it started. To make this recipe even more fun and give it some flavor, I added the famous everything but the bagel blend into the dough and on top of the rolls. Finally to make them truly everything flavored I grated cheese over the top. I did half with cheddar and half with Parmesan cheese. Both were delicious, so you have lots of options if you decide to add cheese. It is certainly optional. One final recipe hack- for the boiling water needed I used my electric kettle. This thing is awesome and we use it approximately one million times per day. My husband uses it to do his french press in the morning and for tea all day. I use it for hot water as well, and sometime I use the hot water to help me melt or soften butter, kind of a double boiler situation. We have this one– which has different temperature settings, like you would need for coffee or tea etc.. It’s so cheap and it was one of the best kitchen purchases of 2017 for us! 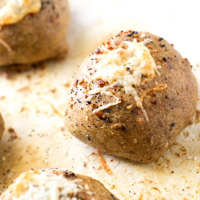 Try your hand at these simple keto rolls. Cover them with everything spice, or whatever your heart desires. The rolls are simple to put together, and have NO egg taste to them at all!! 3 Egg whites- I used organic ones from a carton so I don't have to find a use for the yokes. If you use whites from the carton its 6 tablespoons. Add the boiling water and mix for about a minute. You may need to switch to a spatula or wooden spoon instead of a whisk now. Add the apple cider vinegar and mix again. Finally when the mix has cooled a bit add the egg whites to the bowl. The mix will be well formed and it may seem that the eggs whites won't incorporate- just keep mixing and folding. Kneed the dough with greased hands until everything is incorporated. It won't take long. With greased hands form 6 balls. The dough is fairly loose and slightly sticky but you can still make balls. Sprinkle your seasoning over the top and press it in so it sticks. Cook in the oven for 45 min- remove from oven and top with cheese if desired and then bake the remaining 15 minutes. Let fully cool before cutting open! *It is best to weigh your ingredients for baking. 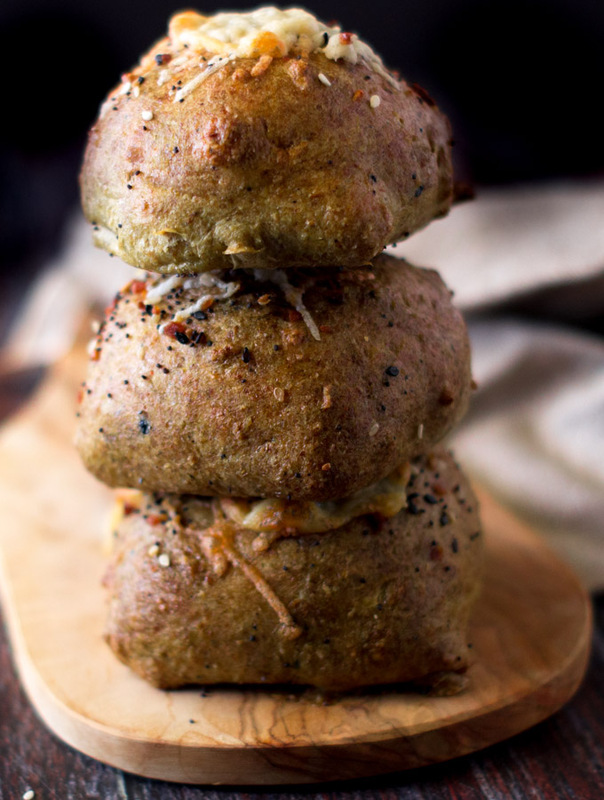 I hope you have enjoyed this everything keto roll recipe. I just cut one open for a grilled cheese and it was amazing. Do you know how much I missed grilled cheese sandwiches on keto? 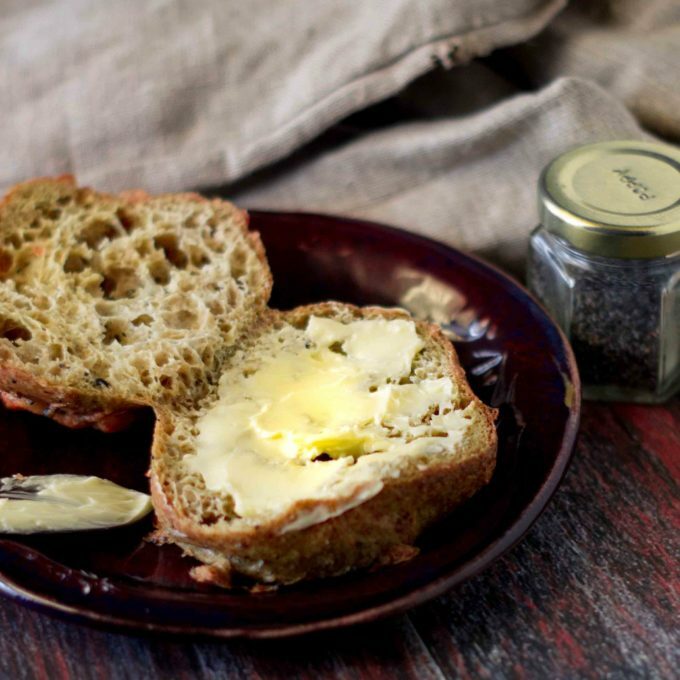 This roll recipe is perfect for those who need to stay nut free, and find many keto bread recipes either too heavy or too eggy! Are you interested in a FREE keto cookbook? Want to know something weird- almost every diet out there uses ketosis for fat loss. 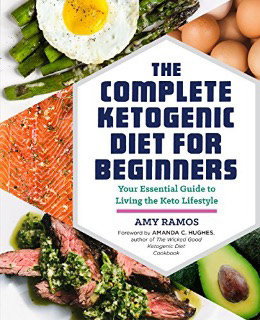 You can learn all about ketosis and the ketogenic diet when you claim your FREE copy of the brand new cookbook called The Complete Ketogenic Diet for Beginners. Its jammed with 76 fat burning recipes that turn you into a fat burning machine! Hurry because there were only 500 copies printed and they will be gone in a matter of days (probably today). Get your copy of The Complete Ketogenic Diet for Beginners today just pay shipping and handling!